Highest honour for our EuroShop appearance 2017: “from scratch“ wins an EDGE Award in the self-promotion category at this year's Exhibit Design Awards. 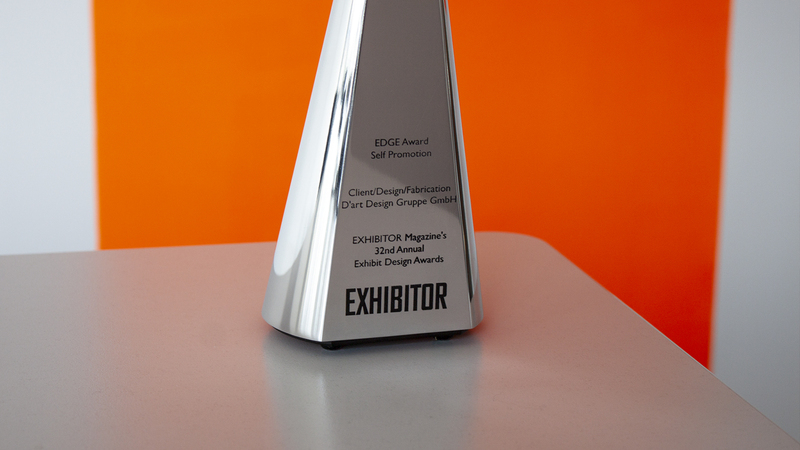 With the EDGE Award, the US magazine Exhibitor honours outstanding exhibition designs and graphics. As a winner, “from scratch“ will also be featured in the Exhibitor's May 2018 issue.